Comment: Peter returns to Jerusalem, and the church demands an account for why he ate with Gentiles. Peter recounts the vision God gave him to be in ministry with Gentiles. Who is my Neighbor? is a retelling of the parable of the Good Samaritan. The Blues and the Yellows do not interact. In fact, the language that they use about one another suggests an us versus them mindset. It had become a way of life, similar to the way the early church viewed Gentiles. It is only when a Yellow helps a Blue in a time of need that the two groups put their differences aside and come together. Us versus them is the easy way to deal with conflict and differences. This book and the Acts text recommend a paradigm shift in how we understand our traditions and live them out. Us versus them goes against God’s will for us to love one another. Comment: This little board book has brilliantly colorful pictures that accompany the words describing what is growing. From the “peaceful flower bed” to the “sleepy silk cocoon” children see that things grow. In the scripture God says “See, I am making all things new.” Every year, during different seasons, we see new things. In the spring, the flowers and butterflies. In the summer, peas and carrots. 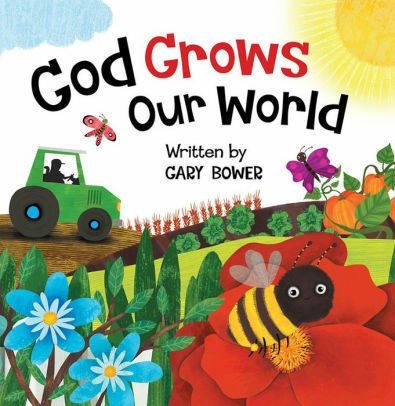 “God, our Maker, makes it grow,” the book says. Comment: During his final meal with his disciples, Jesus washes their feet. Not simply because they were dirty, but to show them what it means to love one another. Jesus gives the disciples one last commandment, “love one another just as I have loved you.” Jesus’ actions like washing the disciples’ feet and dying on the cross, are examples of this kind of love. 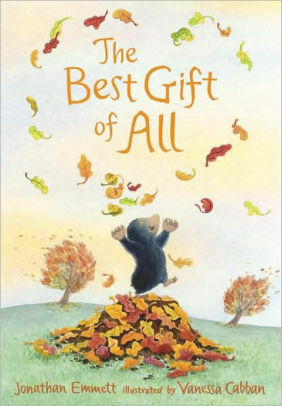 In The Best Gift of All Mole wants to visit his friend Rabbit. Mole decides to dig a tunnel to Rabbit’s burrow. Squirrel and Hedgehog join in the adventure. Squirrel brings the under the weather Rabbit nuts and Hedgehog gives her dry leaves. Mole feels sad because he has nothing to give his friend. Then Rabbit reminds him of the best gift of all – Mole’s presence. Sometimes the best way for us to express Christlike love to others is being there for them. We welcome back Union Presbyterian Seminary alumnus Jason C. Stanley as the Revised Common Lectionary Links writer for the next four weeks. Jason serves as Coordinator for Church Revitalization on the Elizabeth River District of the Virginia United Methodist Conference. Lectionary Links (RCL): May 19, 2019 by Storypath is licensed under a Creative Commons Attribution-NonCommercial 4.0 International License.